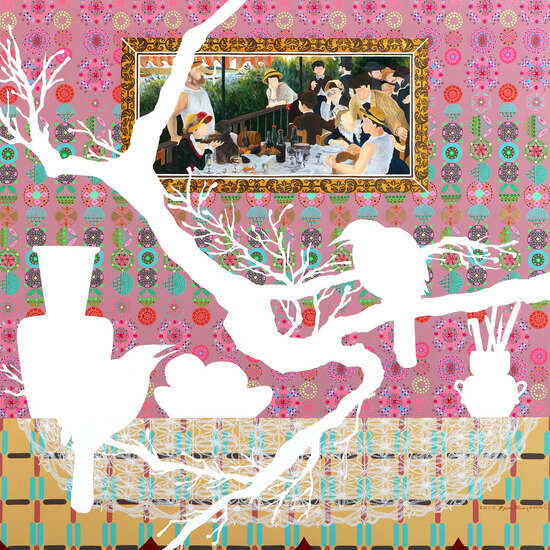 The works by Sun Young Byun prove that painting can hold its own against interior design prove. 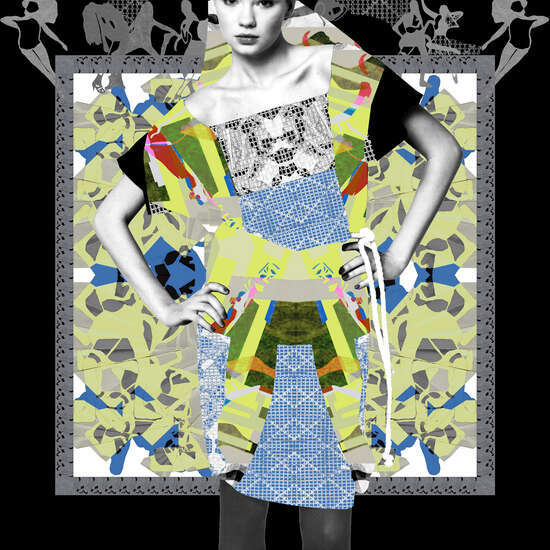 The Korean artist playfully mixes Asian and European patterns, confusing our typical orientation and thus readying us for an optical adventure. 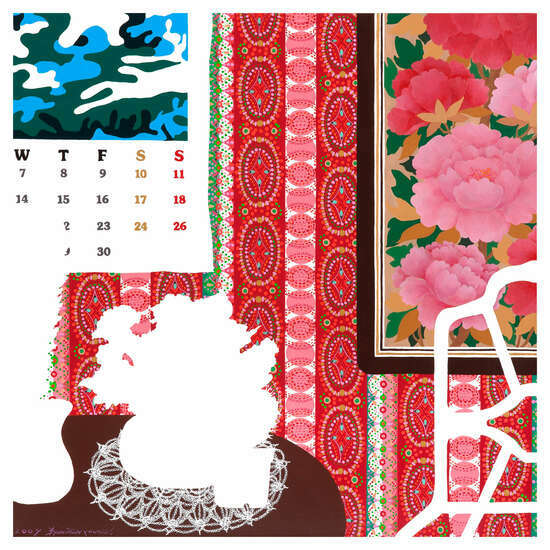 This journey flowers out of an overflow of styles: a calendar with Pop Art images by Roy Lichtenstein on a violet and pink flowered wallpaper, next to that a chair upholstered in budding blooms. A small table with grandmother’s white crocheted tablecloth bedecked with family photos, the characters in which Byon reveals only as white cut-out silhouettes. Of all things, the houseplants also remain white and look as they have been cut from the picture; these are empty spaces among the room’s opulent ornamentation. As early as her painting studies, Sun Young Byun distanced herself from traditional motifs such as still lifes to search instead for everyday objects for her images that did not necessarily need to be carefully arranged. The more she tried to unjudgmentally combine opposites such as art and the everyday, luxury items and kitsch, the more experimental her selections and her way of dealing with the objects became. She began to turn an entire system of values on its head. In her current works she plays with unusual perspectives of interior spaces. 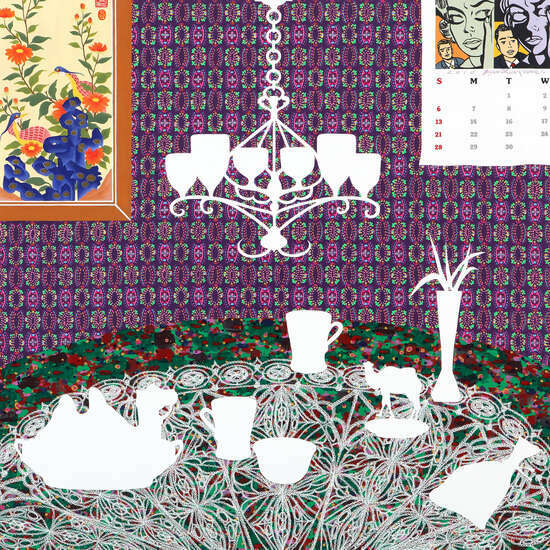 She conjures furniture, wallpapers, objects like vases and wall calendars, carpets, and doors into a mutual two-dimensional existence on the canvas. No perspectival sight lines or constructed back- and foreground divide or organize the colorful objects. Following the ideals of French legend Matisse, colorful effects and surface patterns weave themselves into a spectacular visual quilt. The perspectival illusion disappears because the artist dispenses with sharp dividers, constructed vanishing lines, and framing shadows, flooding the eye with decoration. 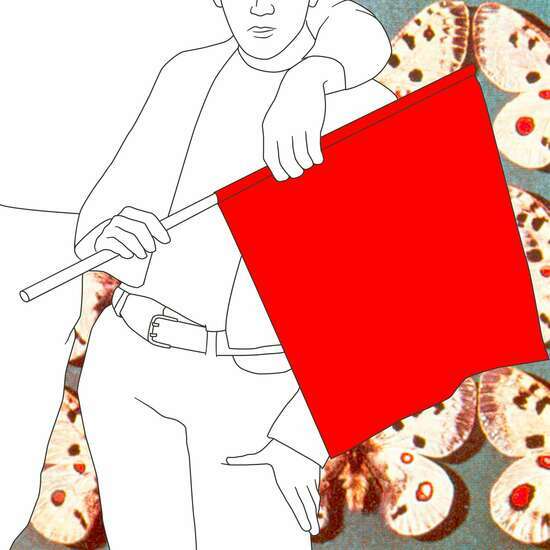 Idealism and reality, dream and everyday life begin to overlap in these unusual images. 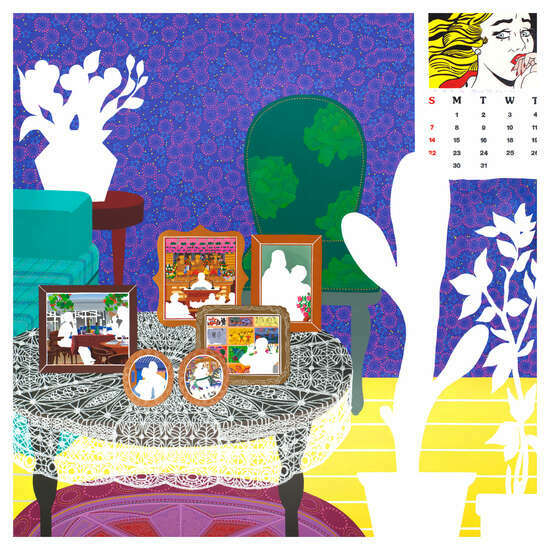 Sun Young Byun masterfully conducts the most varied traditions, cultures, and styles in a harmonious composition, an aesthetic challenge with new symbolic power.